These are designed by me. Feel free to share in your blog/website! If you could include a trackback to my blog, that’ll be great thanks. Where did you buy your Buchwheat Tea? A friend gave me some and when I finished I had a hard time sourcing it. You’re right about it helping reduce cholesterol and high blood sugar. 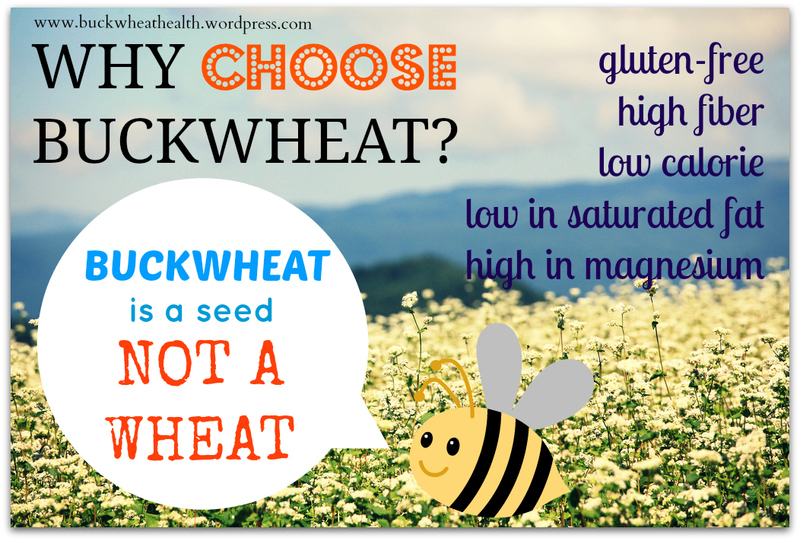 I have learned so such about buckwheat lately – I am amazed at its benefits. Buckwheat has Bioflavonoid – rutin which functions as an anti-oxidant, fights inflammation, strengthens capillaries and reduces blood clots. Tartary buckwheat has almost 200 times the rutin content in common Buchwheat. Why so you think that there is so little awareness about buckwheat when it is such a healthy product? Hi Janice, i didn’t buy mine either. A friend passed it to me from her trip to Korea. After that I did some research on buckwheat and found that Tartary Buckwheat was far better in terms of nutritional value to aid cholesterol and high blood compared to the normal ones (groats) sold at the store. It’s not easy to find a store that sells Tartary Buckwheat. I could only find the groats and flour. I did a search online and saw tea sellers selling Buckwheat Tea, perhaps you could try to purchase from them. You seem to really love buckwheat – I do as well. My love for buckwheat started with Tartary Buckwheat Tea. I loved the tea’s pleasing nutty flavour and its calming effect. Later I learned that buckwheat has many health benefits. I now use buckwheat in many different ways; breakfast cereal, cooking, baking and in pancakes. My 11 year-old daughter loves buckwheat tea as well. That’s great to hear! I’ve tried buckwheat tea as well and love the light nutty taste and nice aroma 🙂 It seems drinking it helps for cholesterol and high blood sugar. Hi Laura, thanks for liking my postcard 🙂 Sure you can download and add it to your blog. I decided to set up this blog focusing only on Buckwheat because I love this food and would like to create a sharing point where those who likes this food too can come together. I’m not from the Buckwheat industry or a nutritionist. I started this blog as a hobby. Wonderful. I love buckwheat, too, and wouldn’t mind if you were – just would want to know if I were inadvertently advertising for a company by sharing that postcard. Thank you. It’s a great blog.